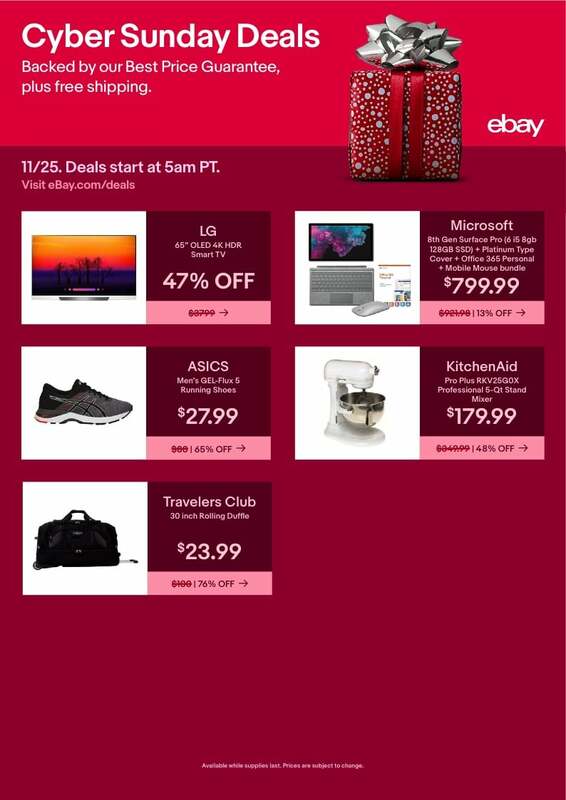 Browse eBay Cyber Monday 2018 Sale – valid on Monday, November 26 and starting at 5 p.m. PT. 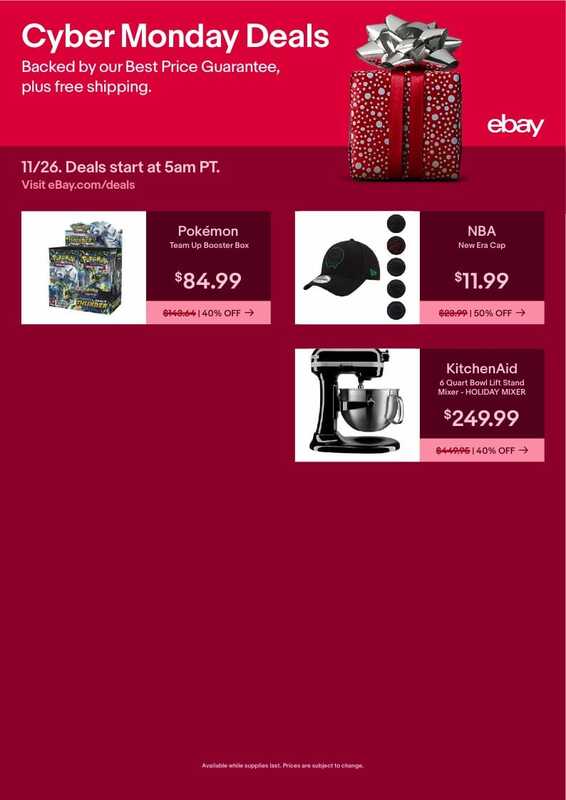 Save with this year eBay Cyber Monday deals on: Pokemon Team Up Booster Box, NBA New Era Cap, KitchenAid 6 Quart Bowl Lift Stand Mixer – Holiday Mixer, Microsoft 8th Gen Surface Pro (6 i5 8GB 128GB SSD) + Platinum Type Cover + Office, KitchenAid Pro Plus RKV25G0x Professional 5-Qt Stand Mixer, Travelers Club 30 inch Rolling Duffle, Xbox One X 1TB Fallout 76 Bundle, DEWALT 20V Max XR Li-Ion 1/2 in. 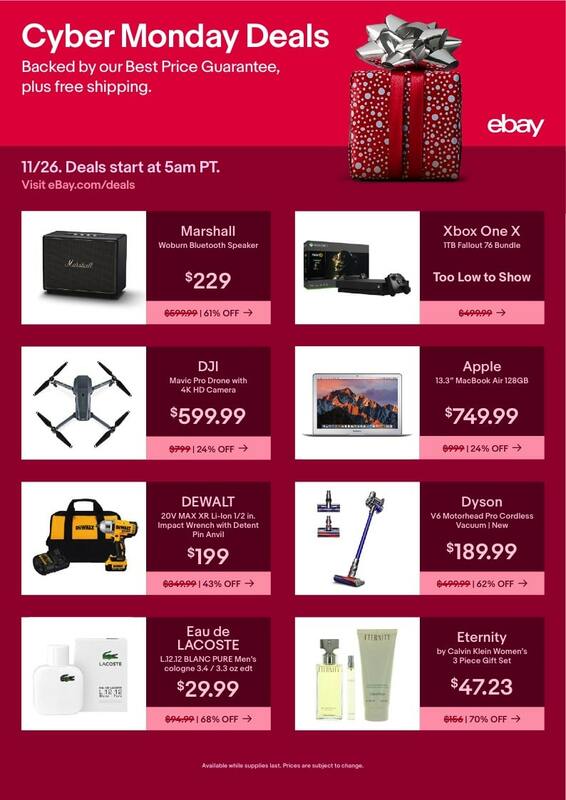 Impact Wrench with Detent Pin Anvil, Eternity by Calvin Klein Women’s 3 Piece Gift Set, Google Home Mini Smart Light Starter Kit (Chalk) and more. 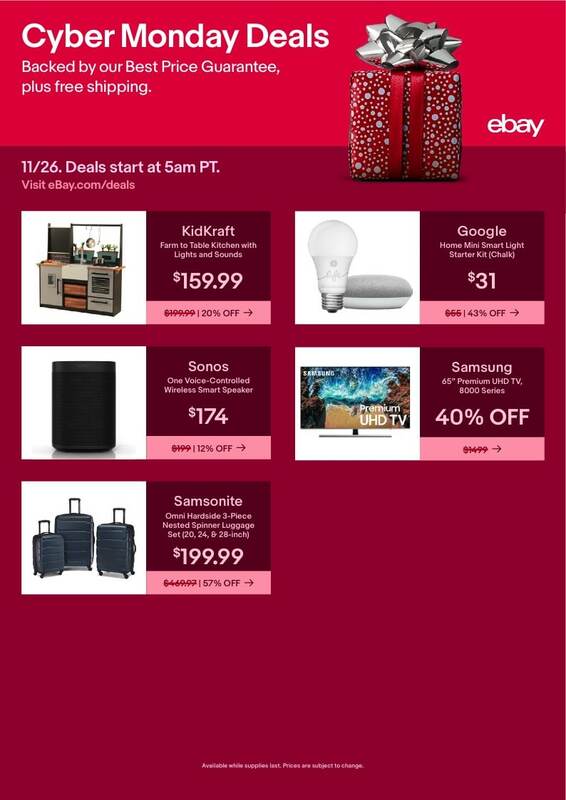 Don’t forget to check this year eBay Cyber Monday deals before heading out to shop.